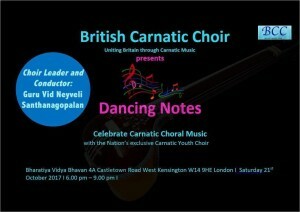 The British Carnatic Choir (BCC) is the country’s exclusive Carnatic Choir ensemble of voices of passionate children and young adults, from all over the U.K.
We come from different religions, languages and cultural backgrounds and share the passion for singing and performing Carnatic Choral music together. 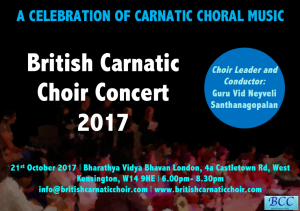 BCC provides a top quality of Carnatic Choral training and musical excellence under experts and music professionals within a very positive and friendly ambience. Our vision is to inspire children to develop their confidence and achieve the highest possible standard in Carnatic choral singing and vocal production. The concert on the 21st of October will be a delightful evening of choral splendor. 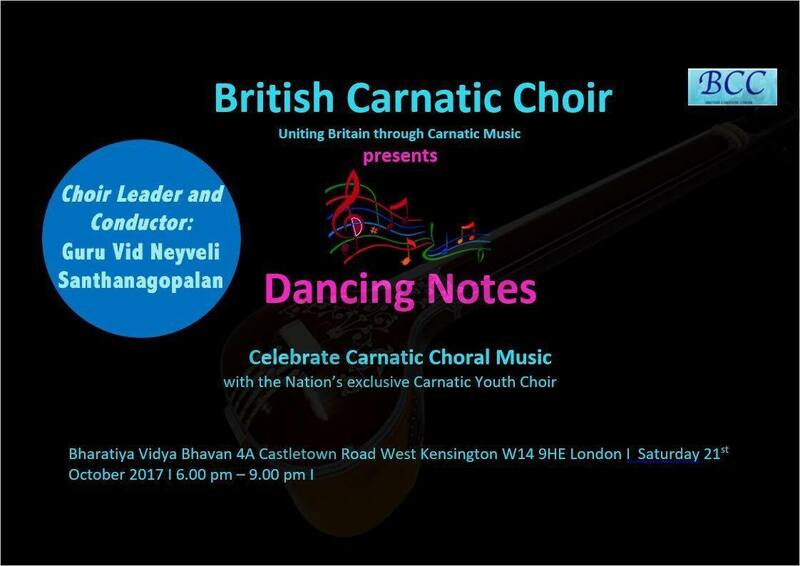 On behalf of the Patrons and Trustees of the British Carnatic Choir, we cordially invite you to join us in this musical celebration. Come and hear the choir sing a wide repertoire of legendary classical and folk pieces, specially chosen for this concert.